Quick — tell the philosophers! The new method, Mendelian randomization, “is changing the way we think about causality,” Dr. Lauer said. These things were 5-6 feet tall, in groups of three — three with embedded butterflies [yes, real] and three without. We had stopped on our way out of Bethesda, on a sunny afternoon filled with traffic. The butterflies, obviously, weren’t going anywhere. 1) My special gardening weakness — I cannot seem to get a weedwacker to work for more than 8 minutes before snapping the line. 5) I have worked out what to do with the various dregs in honey jars that accumulate: pour in some medium-grade scotch or bourbon, and let the alcohol dissolve the honey. Then add sparingly to drinks, or even just to a glass of ice then filled with cold water. Errr. Some of you will know the song that lyric belongs to. The rest, just move along to the actual text: There is nothing like being one of 5 people in a movie theatre — two giddy couples and distraught projectionist — drinking beer, munching on corn chips and watching a reggae icon sing ‘Get up/Stand up’ on the big screen. Oh, and the encore was Pink Floyd. My ears are just getting around to forgiving me, but I wouldn’t have missed the experience. It topped off a weekend of picnicking, festival-going, and having a wonderful time visiting with good friends. Must remember to locate a copy of the Austin Lounge Lizards’ cover of “Dark Side of the Moon” for my neighbor…. A Eucera bee, courtesy of The Great Sunflower Project. I got to see some of these on sunflowers up North last summer. No, you never do know what you’ll get when you stop by this blog, do you…..
…and apparently I can continue a worldwide addiction. David Brooks has a interesting essay about the “end” of the age of leverage today in the NY Times. What he doesn’t have room to say, though, is that while banks and individual borrowers were taking unwise risks with leverage, whole other industries, including his own, depended on that same behavior: newsrooms were funded by the advertising dollars that were forked over by marketing teams who believed [rightly or wrongly] that associating their brands with the provision of the days ‘most important’ stories would lead to increased [or even just sustained] sales. Cultural events were supported by donations from companies with much the same motivation [and, of course, the ‘enlightened self-interest’ of wanting opera, ballet, and museums available for their own enjoyment]. When the belief vanishes, or the forkfuls of reliable funding vanish, you are left with having to either close shop or discover some way of earning money that comes as a direct payment for the services you actually provide, as opposed to the assumed benefits you assure everyone they will get somewhere down the line. Sometimes I wonder what higher education would look like if I got some proportion of the tuition my students brought into the school, rather than a ‘salary’. Further, I wonder what it would be like if students came to my classes [and yes, I think some of them still would] even if the bells, whistles, and incredible social support systems at modern universities weren’t available. Without the experiential ‘extras’ how much would higher education cost? Would that model be sustainable? For whom? Of course, the desire to be associated with something percieved to have high-status is probably a hard-wired thing in humans, so one can’t entirely fault industries for [and I hate this word] monetizing it. But that leaves me with the uncomfortable sense that Entertainment Tonight has a more sustainable future than the evening news…..
*For the transcript of the episode of The Hitchhikers’ Guide to the Galaxy which explains the B-Ark and Golgafrincham, click here. I remember being told by one of my undergrad mentors that critical theory evolved out of the frustration of people who saw the energy of the ’68 era, taught it to their students with fervor, and then discovered they’d produced a generation of smug middle-managers. Something was wrong; agency and social innovation wasn’t happening; the revolution had been pre-empted [and this was before the tech boom!]. Something new had to be sorted out, or at least, the reasons why “NEW” was so difficult needed to be sorted out. Okay, fine. In graduate school, critical theory morphed into cultural studies, and it can be a fun game to play, but I sympathized more with the rusty Marxists who were doing actual archeology over in the remnants of the steel mills, sifting through records and interviewing whoever was left who remembered the mills in their prime. I wanted a closer relationship between the talking about and the making of things. 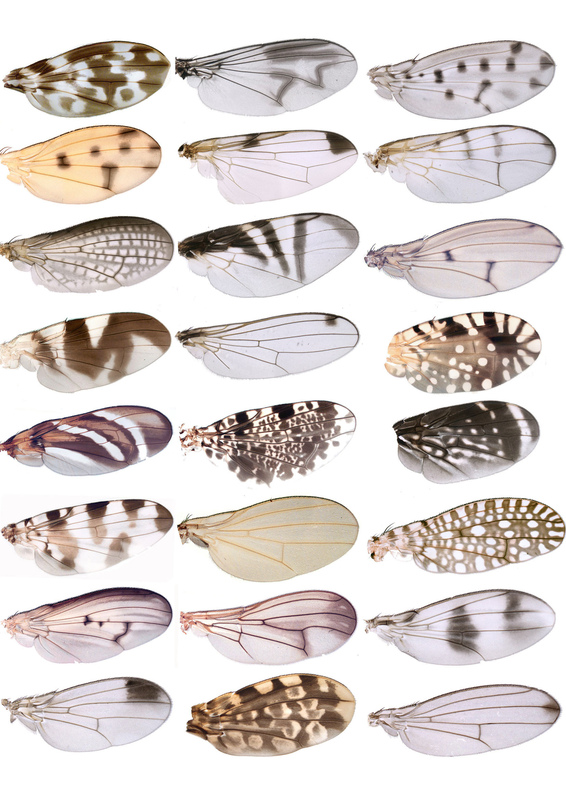 Let’s talk about the steel, the RotoVap, the wings on a fruit fly. Much more recently, I was on a search committee, and could hear colleagues speaking the critical/cultural theory language again, and it was like looking through a haze, or into a Turner painting. I kept thinking: there might be a ship in that painting somewhere, or the echo of a ship, or an cluster of ideas that people have agreed in the past to fit the concept “ship”…..if there was a ship, there would be people working on it, setting sails, adjusting the rigging to best make use of the wind. And all the theorizing about ship-ness would’t matter one jot to the people just trying to get their work done and get home. Second, go see an expert at work: Angry lets the light dawn upon a student: if you haven’t bothered with a class, don’t expect its prof to help you graduate!